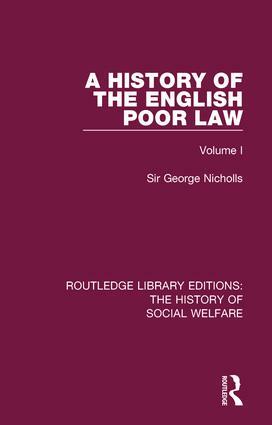 First published in 1854, this comprehensive work charts over three volumes the history of poor relief in England from the Saxon period through to the establishment of the Poor Law Amendment Act in 1834 and its reception. This edition, updated in 1898, also includes a biography of the author, Sir George Nicholls. Volume I examines poor relief from the Saxon period to the reign of Queen Anne.